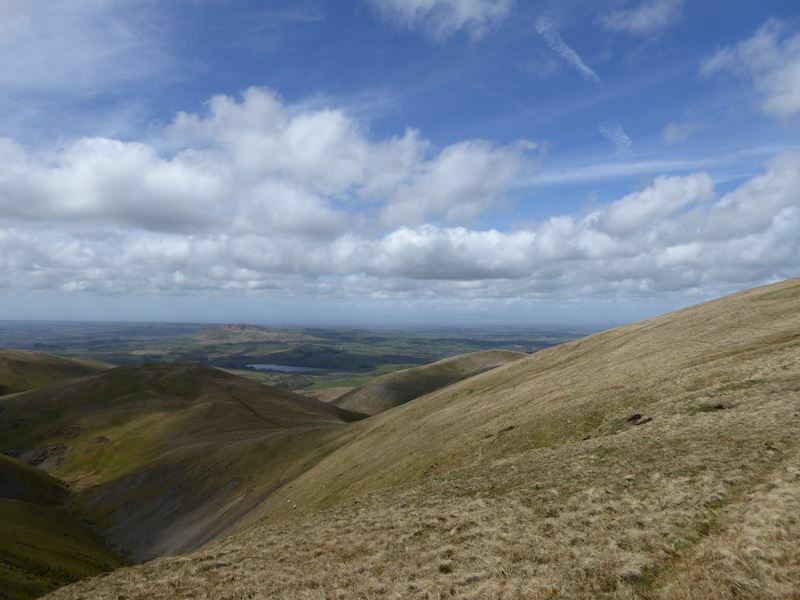 Lured by a weather forecast which seemed to promise a dry sunny day with a light southerly breeze of about 10 mph we decided to walk the Uldale Fells which we hoped would keep us away from the Bank Holiday crowds and the subsequent parking problems. 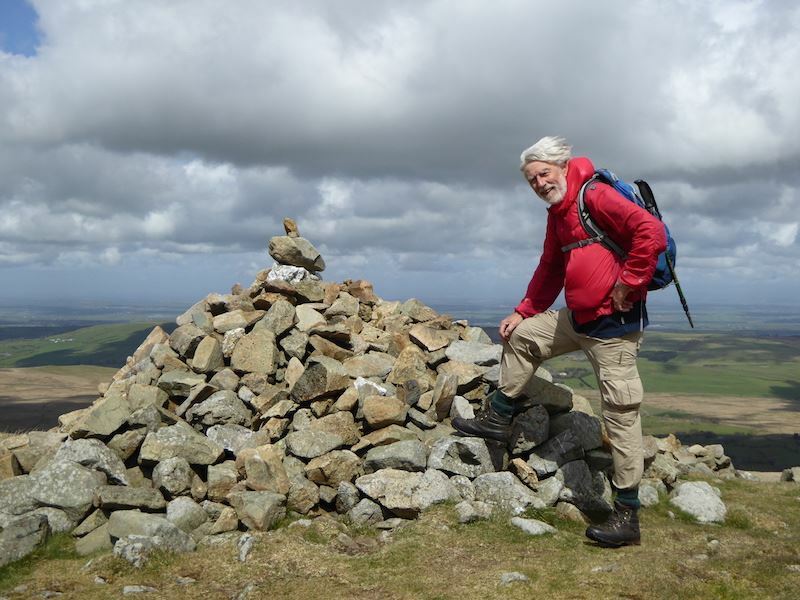 Well, we got the dry and sometimes sunny day and the wind was coming from a south westerly direction, but crikey, it was strong and chilly and particularly blustery on all of the summits. Nice and warm whenever we were walking where the path was sheltered but that wasn’t often and we didn’t linger long on any of the summits. 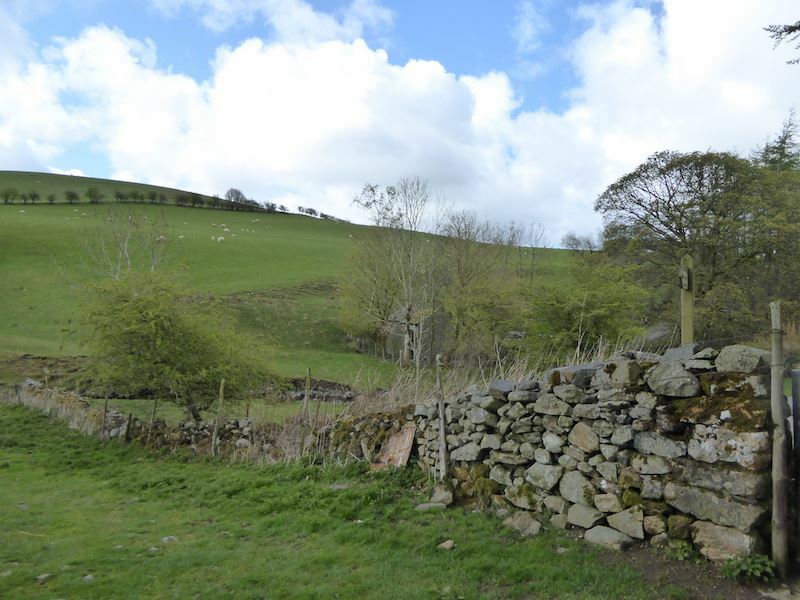 This is the view from the gate at Longlands at the start of the walk. 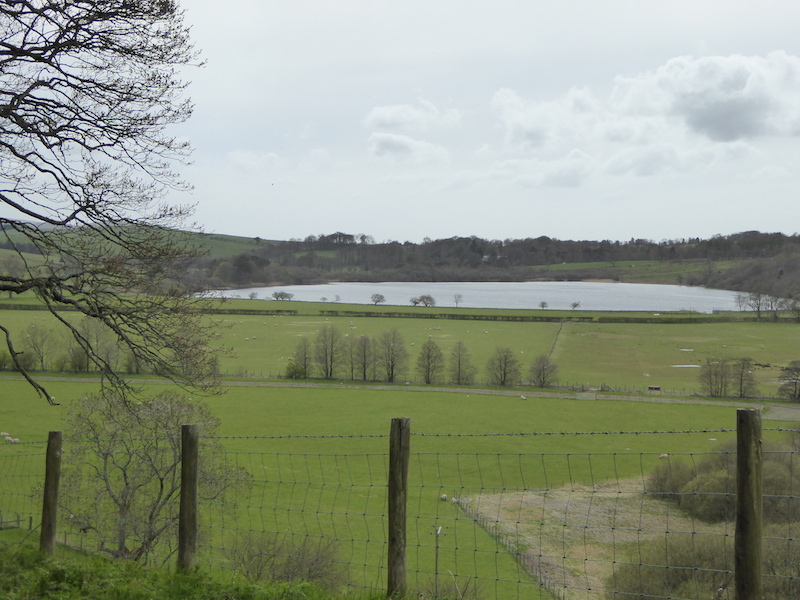 Making our way along the path and here looking across to Overwater with Binsey on the far right. 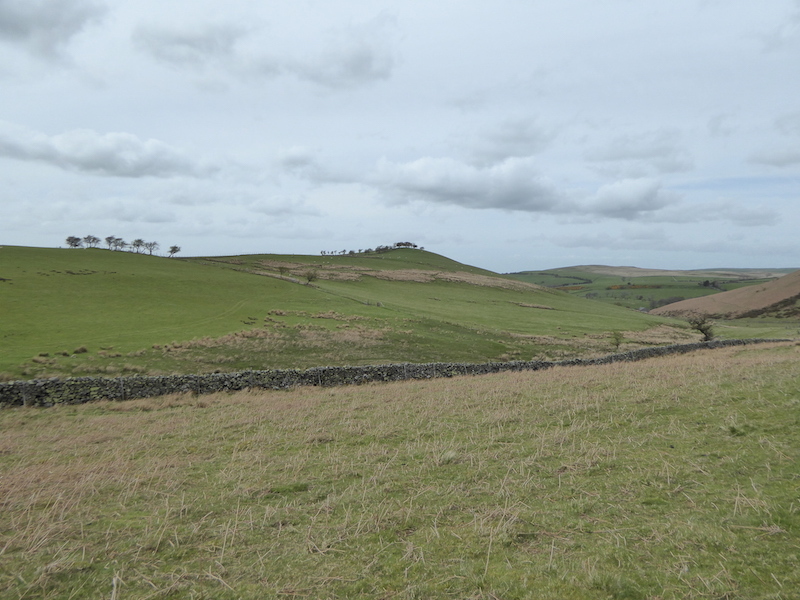 We’re battling the blustery wind as we leave Longlands hamlet. 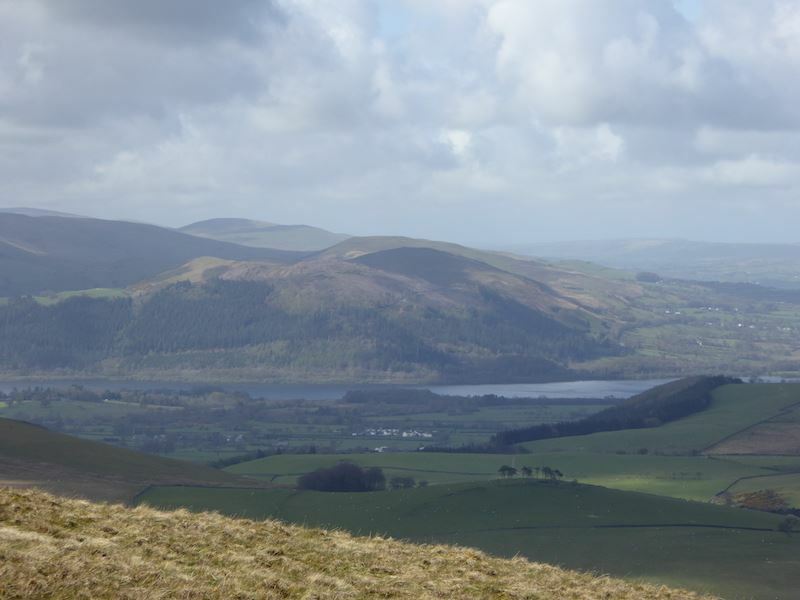 Taking a breather before we walk up Longlands Fell, walking in the blustery wind is hard work, it pushes you back and knocks the stuffing out of you. 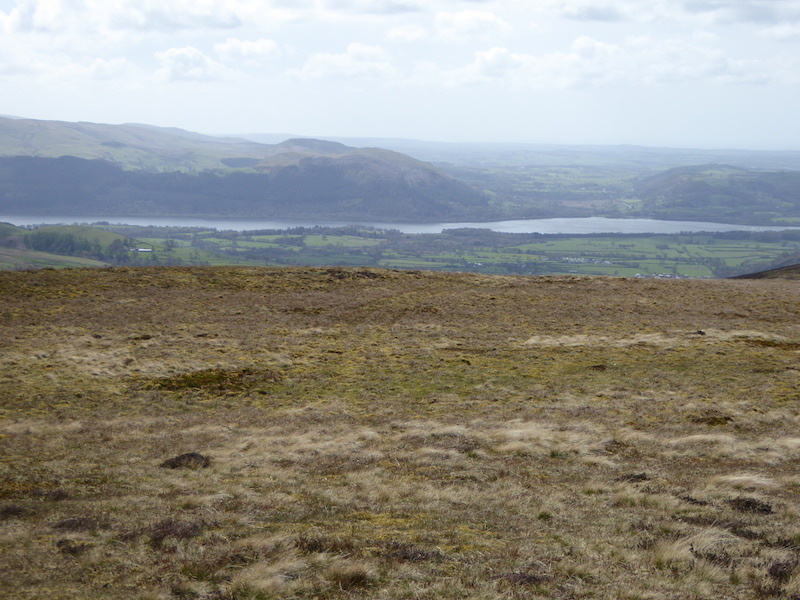 Overwater and Binsey again as we look across to the west from the climb up Longlands Fell. Bass Lake comes into view as we gain more height. 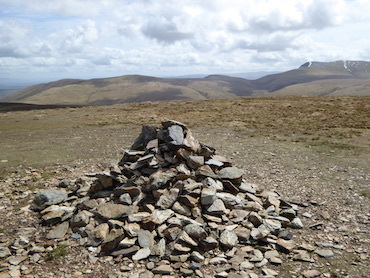 Longlands summit cairn with the Skiddaw group of fells behind. 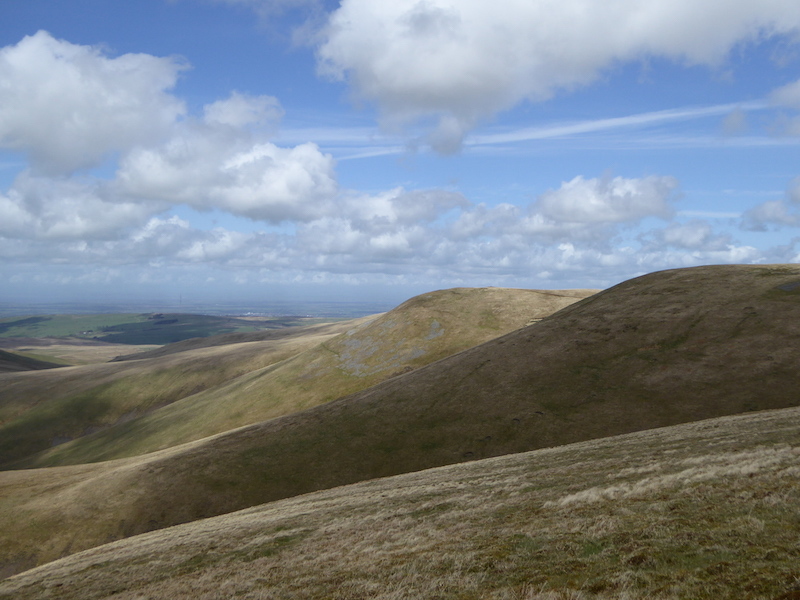 Looking over to Brae Fell from Longlands summit. Hair and clothing indicating just how strong the wind was today. 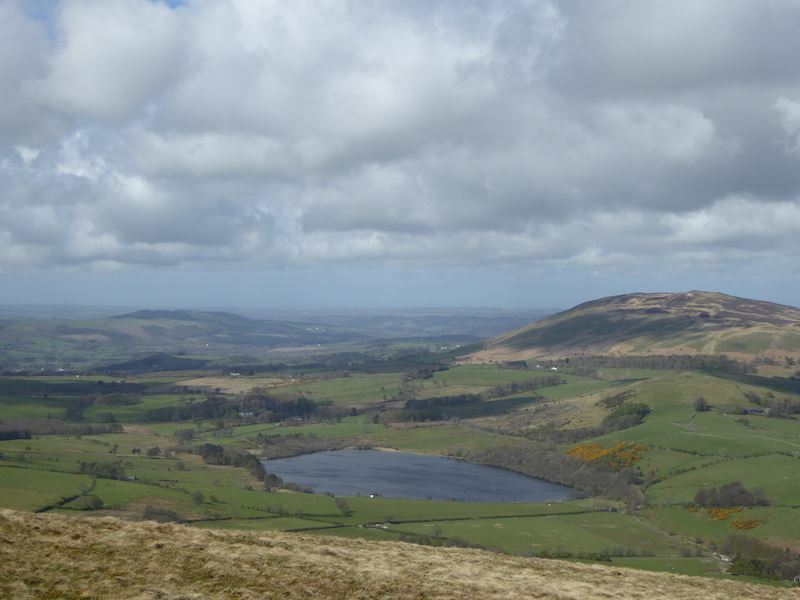 It was way too windy and chilly to hang around for long, don’t be deceived by the blue sky and sunshine, it was cold up here. 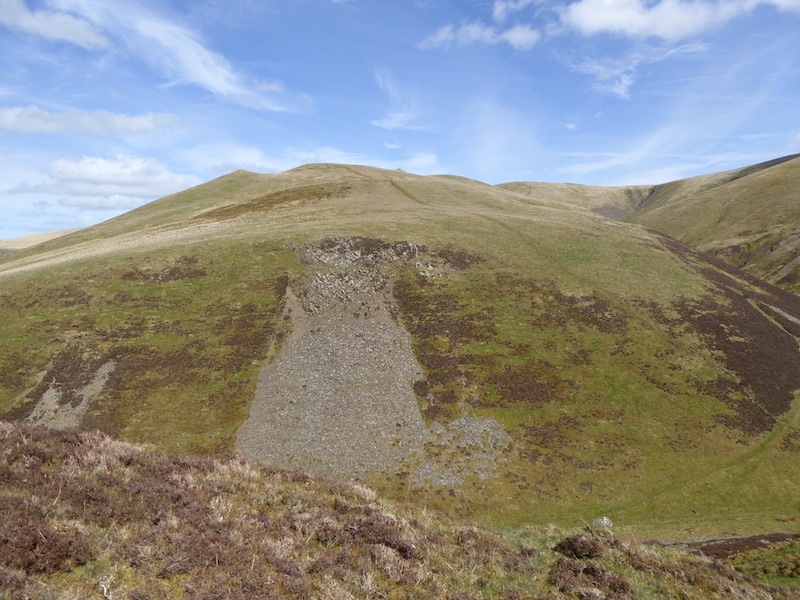 That’s Brae Fell and where we are heading for next, it’ll be even windier up there I suspect. 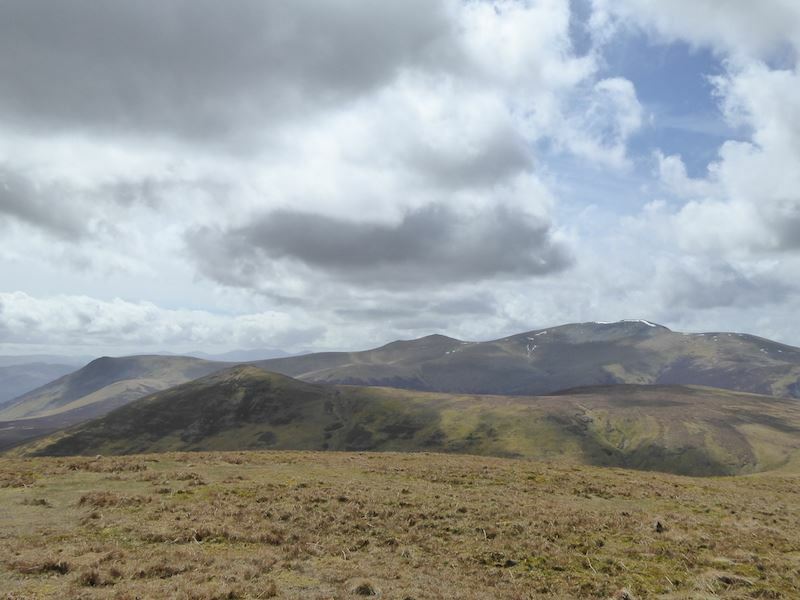 Over there are Little Sca Fell and Great Sca Fell, they’re also on the list for a visit today. 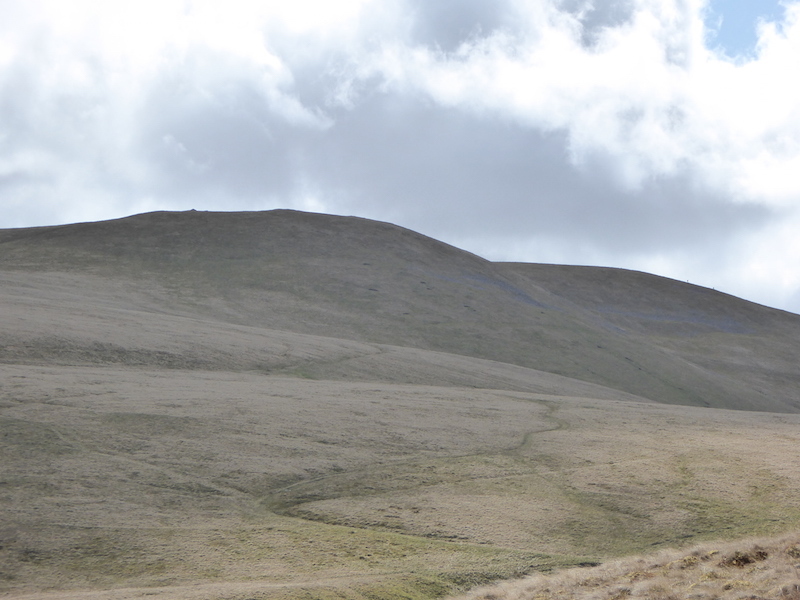 A look back at Longlands Fell as we cross Charlton Gill. 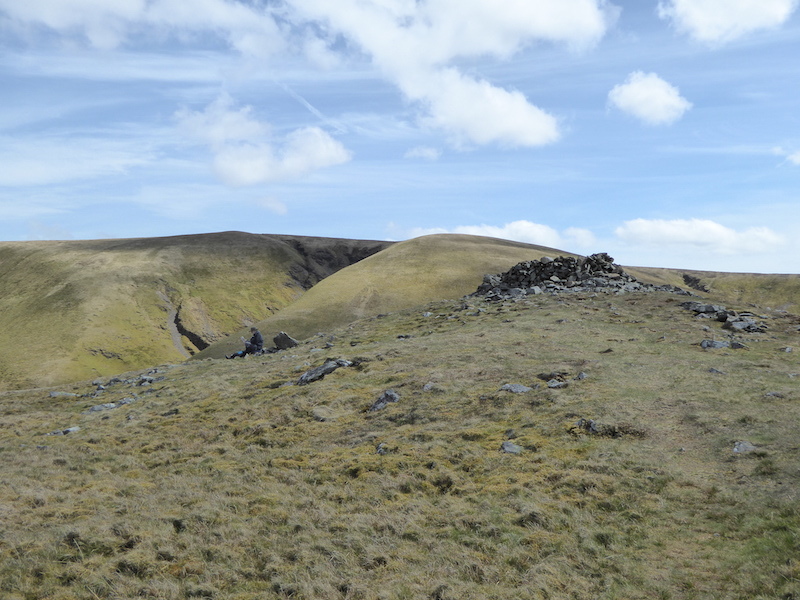 The sheep had the right idea, they were all sheltering in the little folds of land along Charlton Gill and basking in the sunshine. 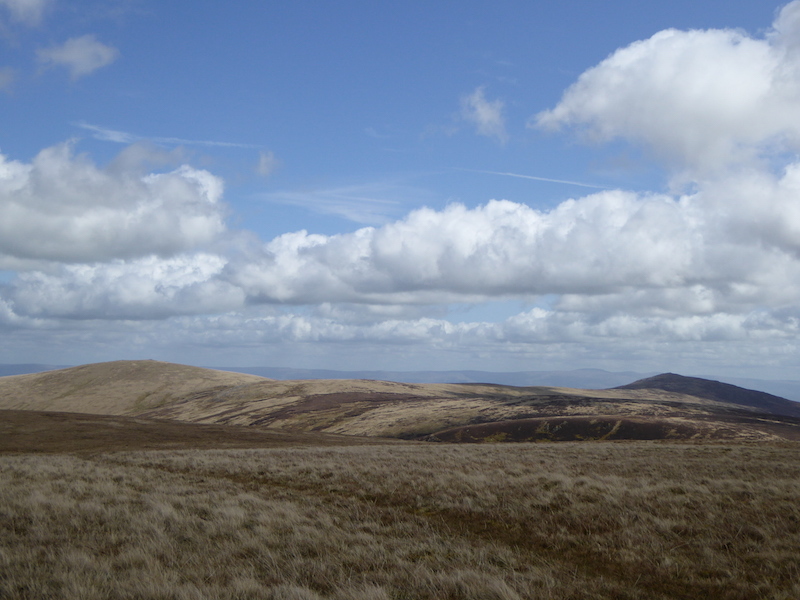 A look back at Longlands Fell as we make our way over to Brae Fell. 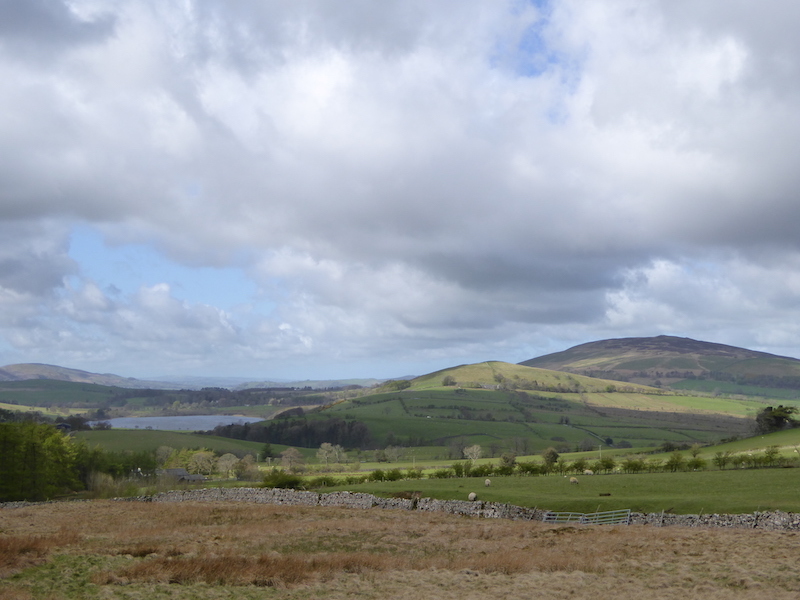 On the left is Lowthwaite Fell. 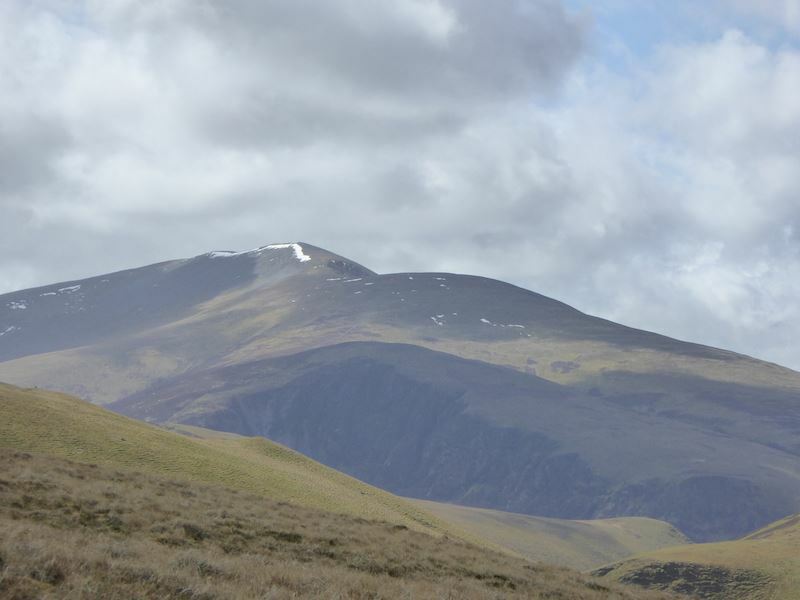 A close up of Skiddaw, still with some snow patches. 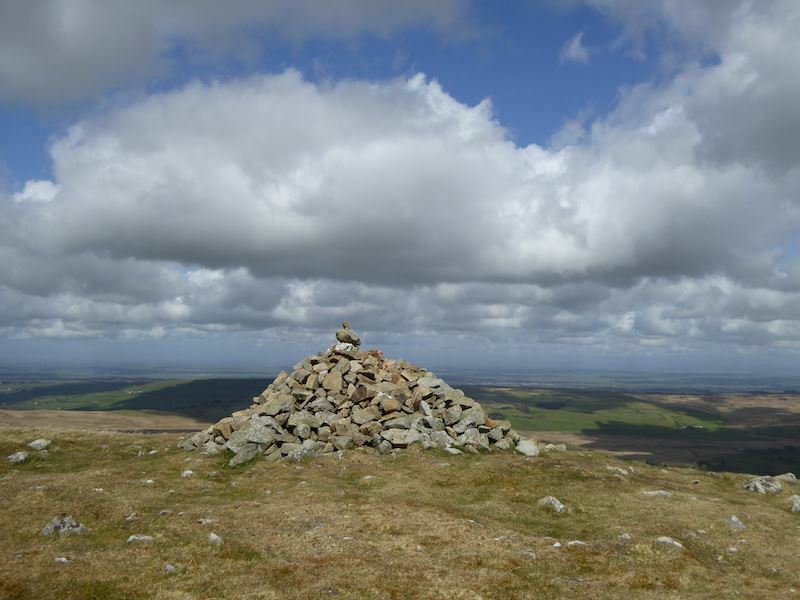 Brae Fell summit cairn …..
…… and the wind continues to blow us all over the place …..
….. so I gave up the fight and sat down for a minute. 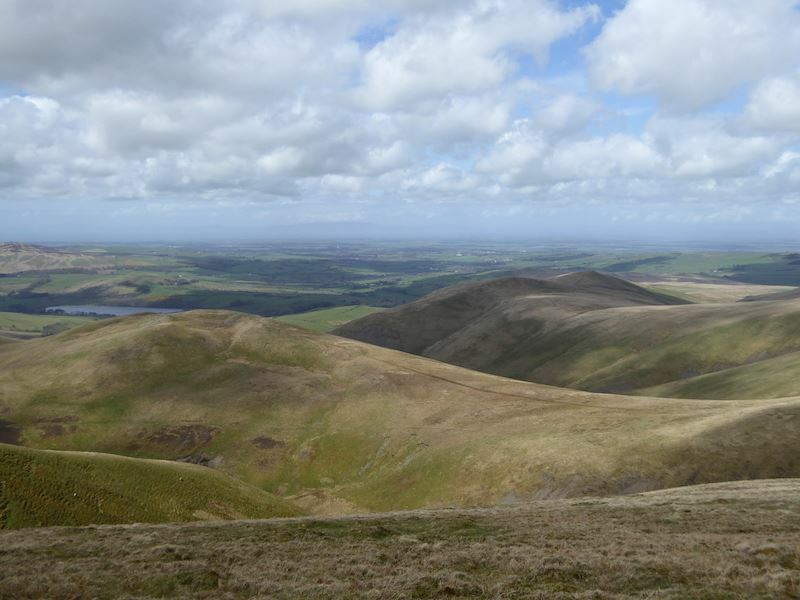 Over in the distance is High Pike, its probably even windier up there. 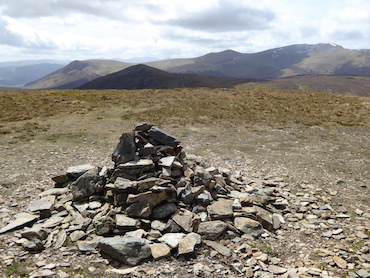 Skiddaw over there in the distance from Brae Fell summit. 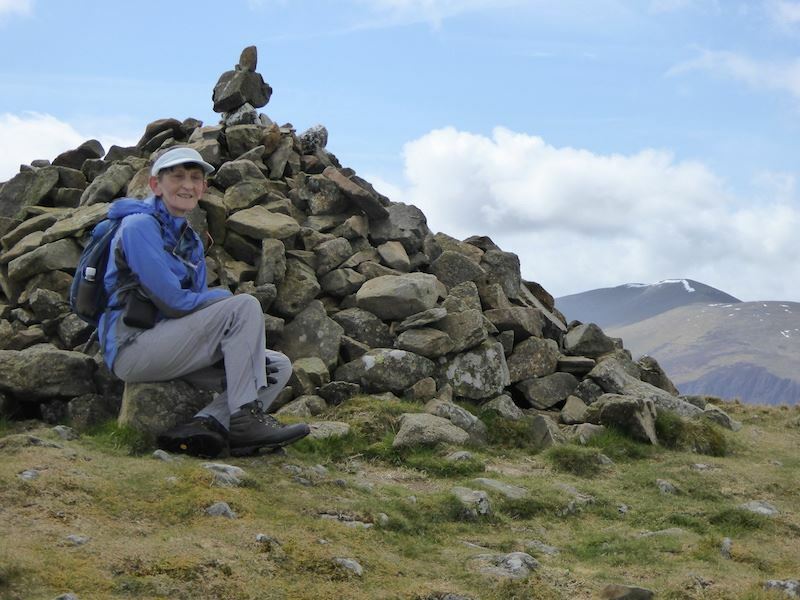 Now for the long trek back from Brae Fell over to Little Sca Fell. 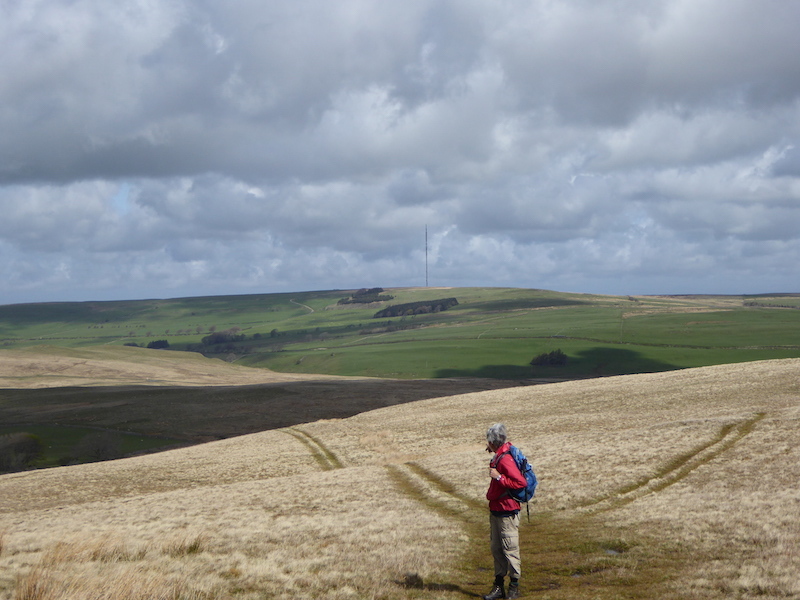 Easy walking if a trifle on the wet side as we had a day of rain yesterday. 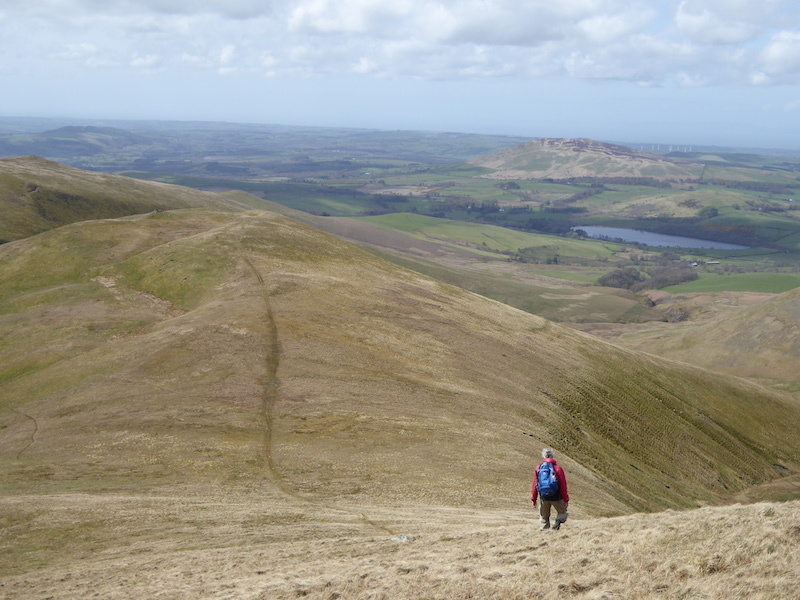 A look back at our route from Brae Fell. Not much protection from the wind across here is there? 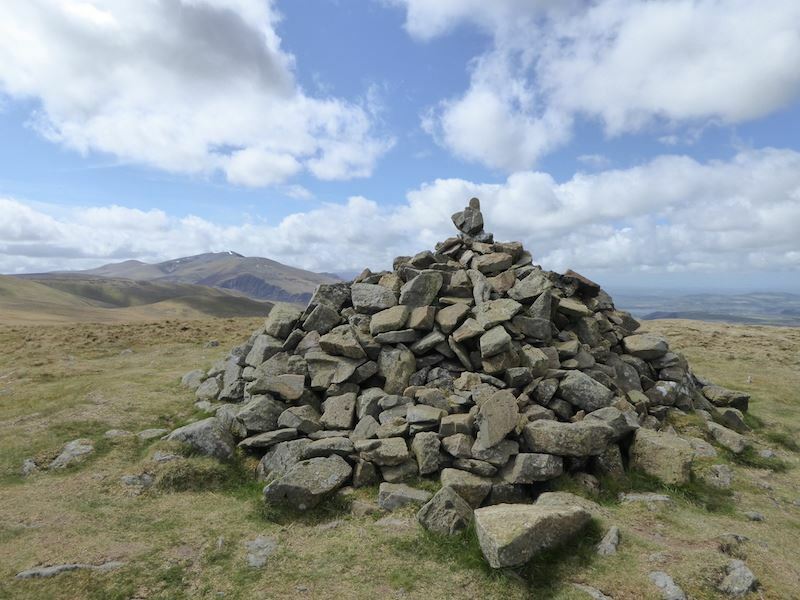 Skiddaw beyond Little Sca Fell summit cairn. 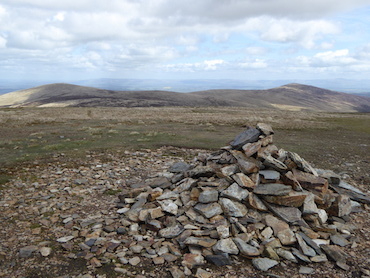 The summit cairn on Great Sca Fell. 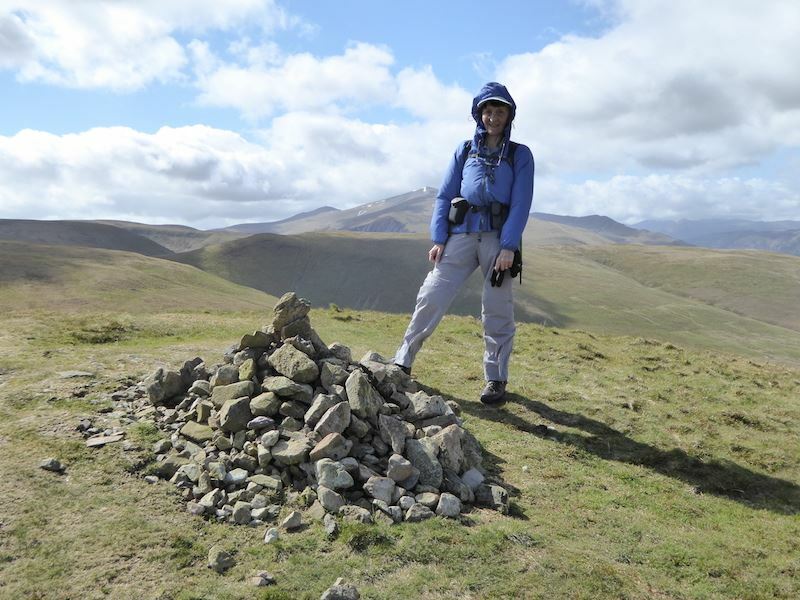 The fell beyond is Knott where we are heading next. 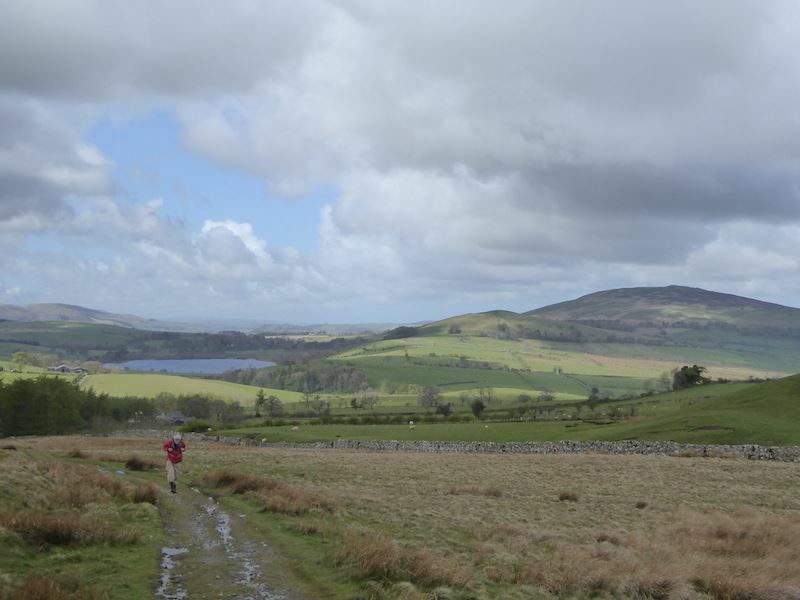 Given the amount of rain we had yesterday I expect it will be a somewhat soggy journey across there. 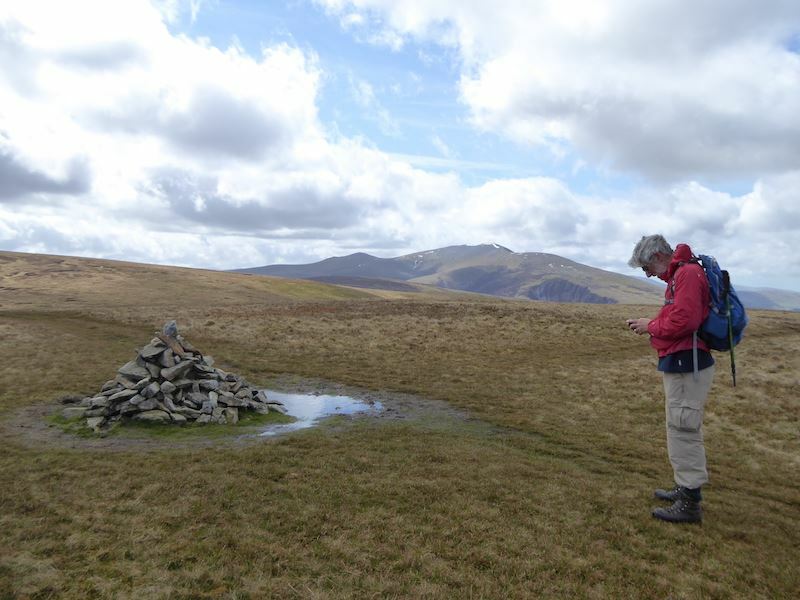 A boy with a toy checking the GPS on Great Sca Fell. I hope it says we are where we think we are. 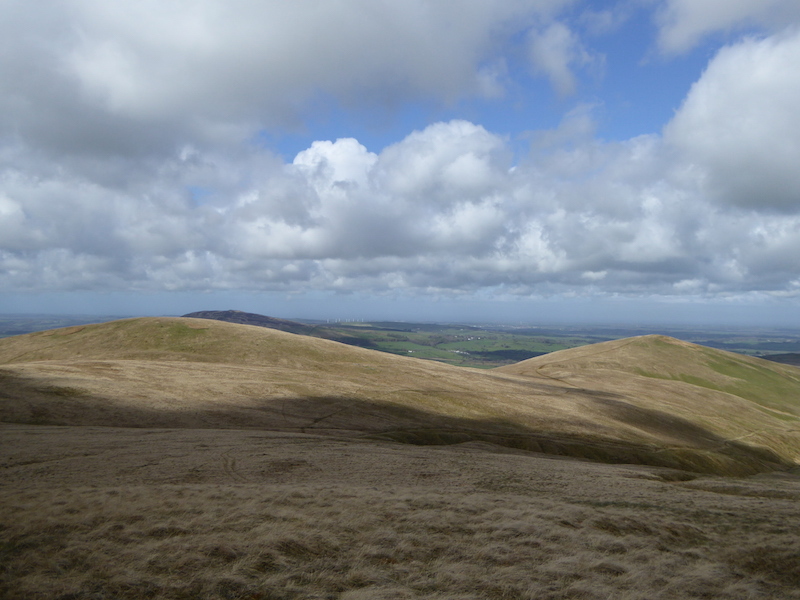 On the left is High Pike and in shade on the right is Carrock Fell. 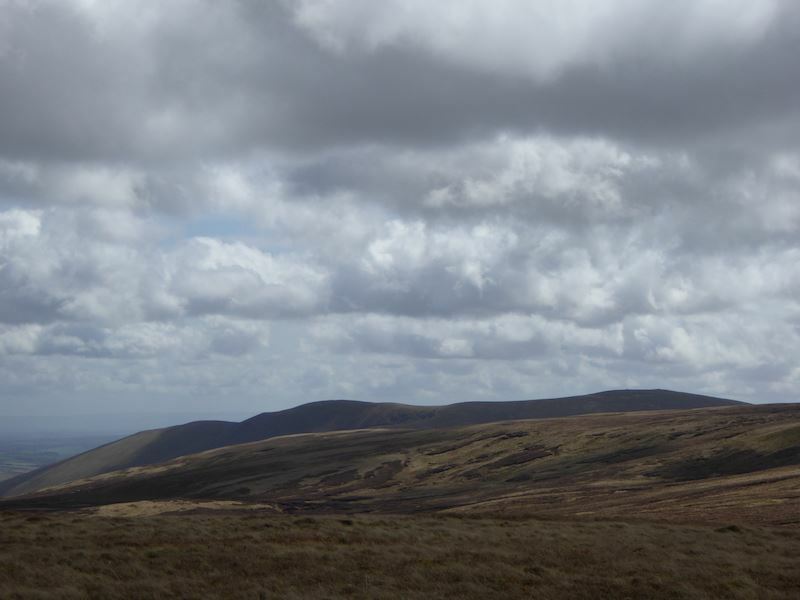 Looking over towards Bowscale Fell from Great Sca Fell. 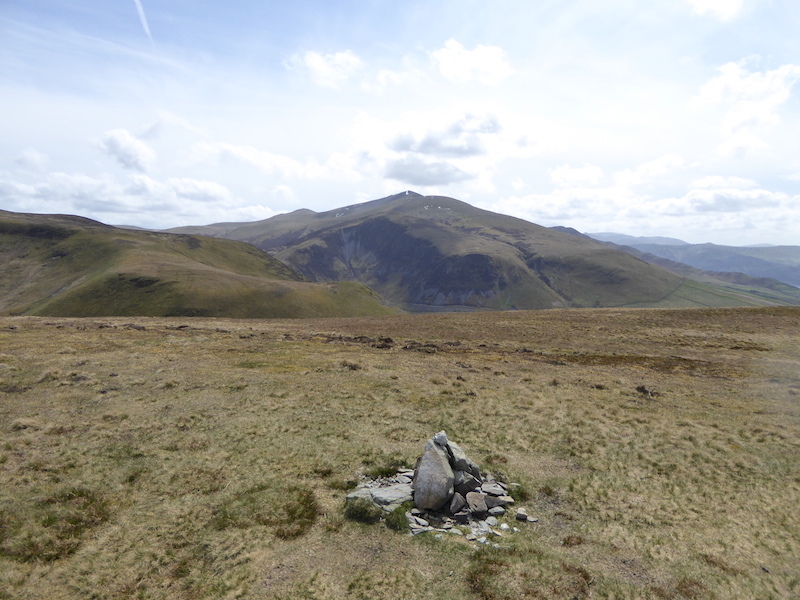 From there it was a very boggy walk across to Knott, where I took a few shots looking in various directions from the summit cairn…..
….. towards High Pike and Carrock Fell …..
….. towards Bowscale Fell, Bannerdale Crags and Blencathra …..
….. to the whole of Blencathra on the right …..
….. then Lonscale Fell, on the left, and the Skiddaw range, on the right. 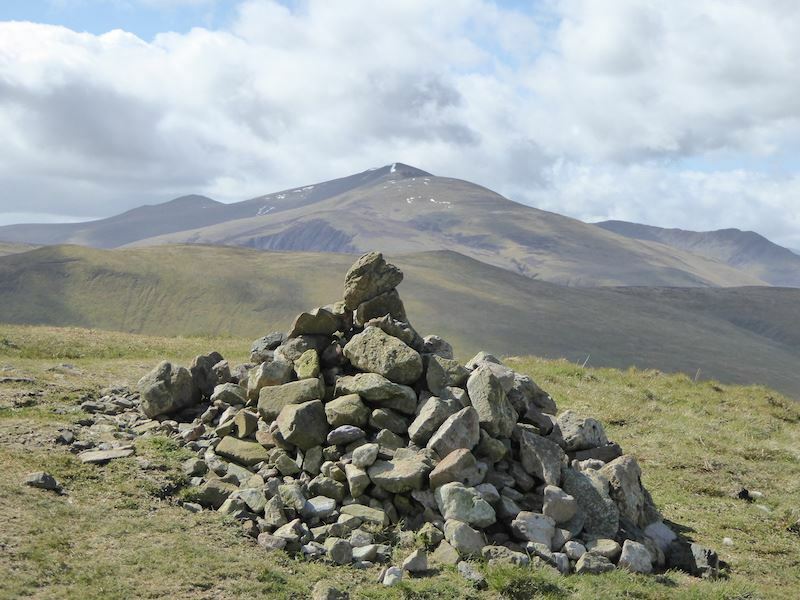 A grand view of the Skiddaw fells from Knott. 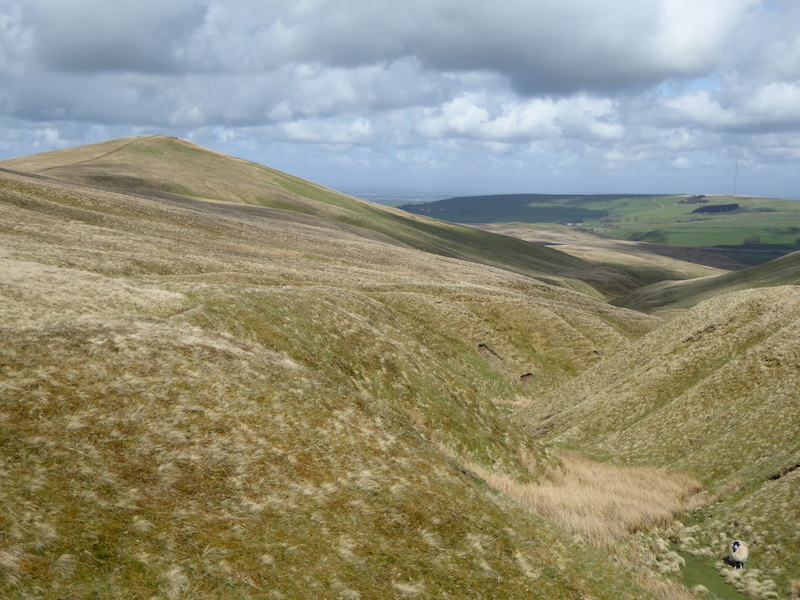 Lonscale Fell over on the far right as we take a look down the valley. 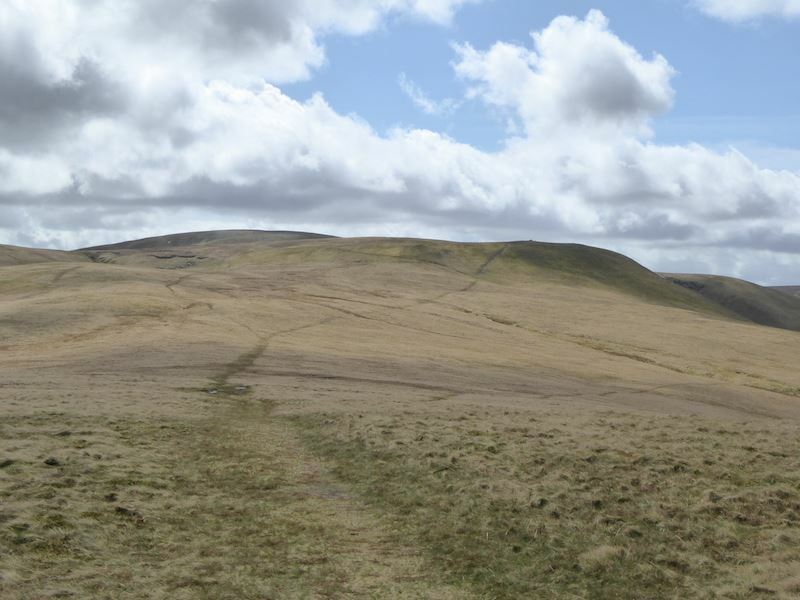 Running across the middle of the photo is Meal Fell and the path we are heading for. 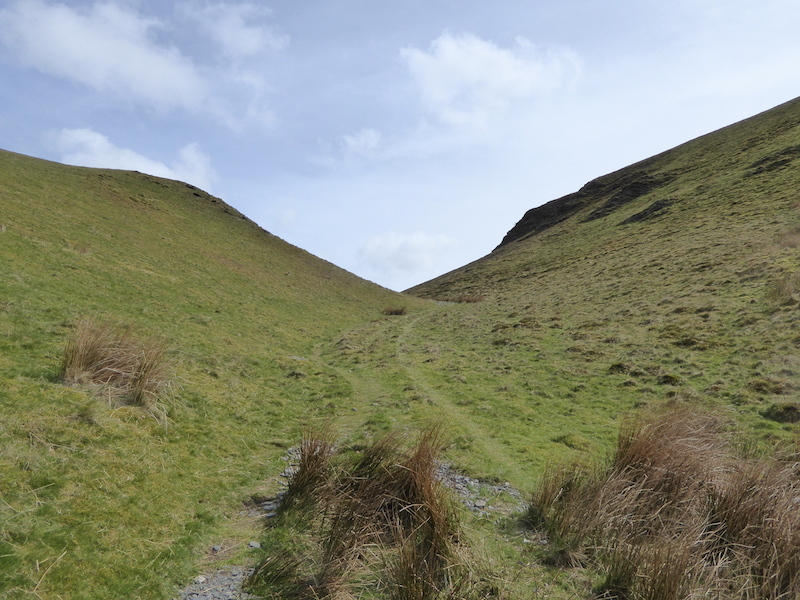 We had no intention of walking down this hill and up the other one to reach it, so it was off to the right, swing left at the head of the valley and then straight across to the path going down Meal Fell. 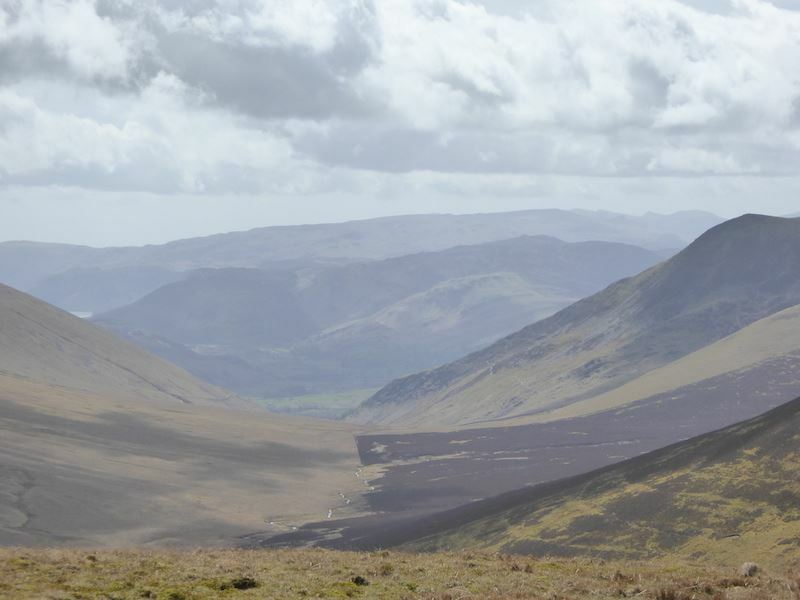 We’re heading across to Great Sca Fell, the one nearest to us, with Little Sca Fell just behind it. 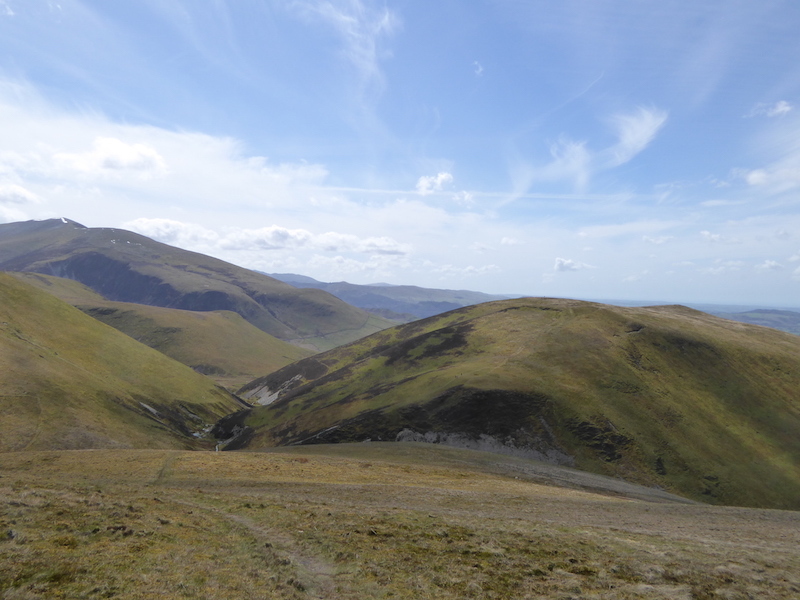 From Great Sca Fell we’ll pick up the path you can see in the centre on Meal Fell. 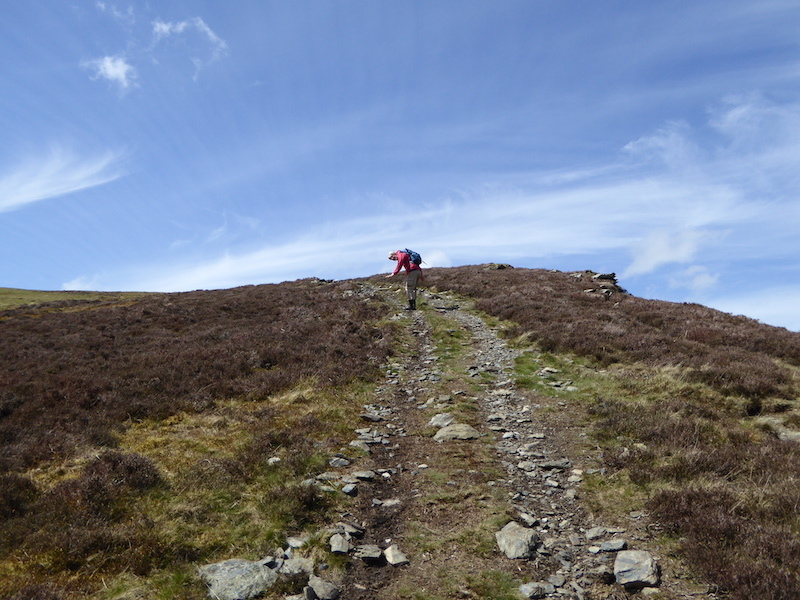 On the path down from Great Sca Fell heading for Meal Fell. 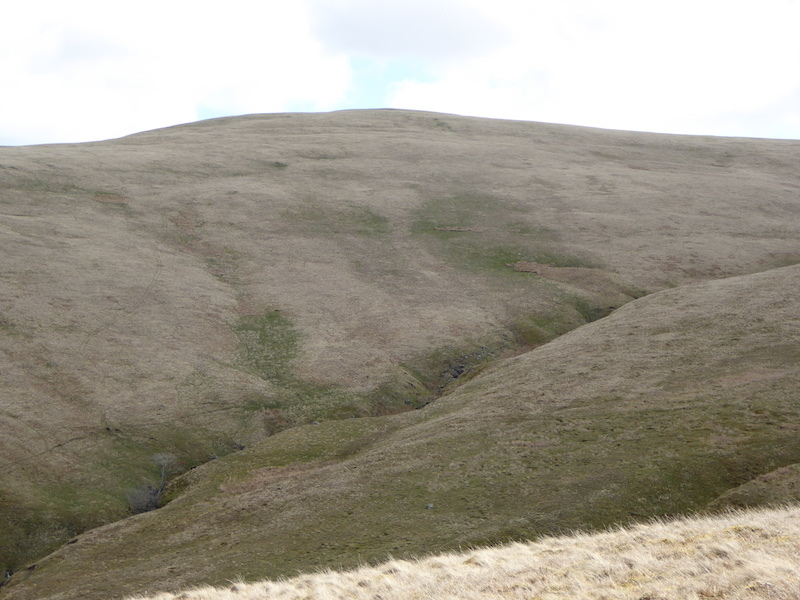 Its a steep way down so the legs were in low gear for a while. 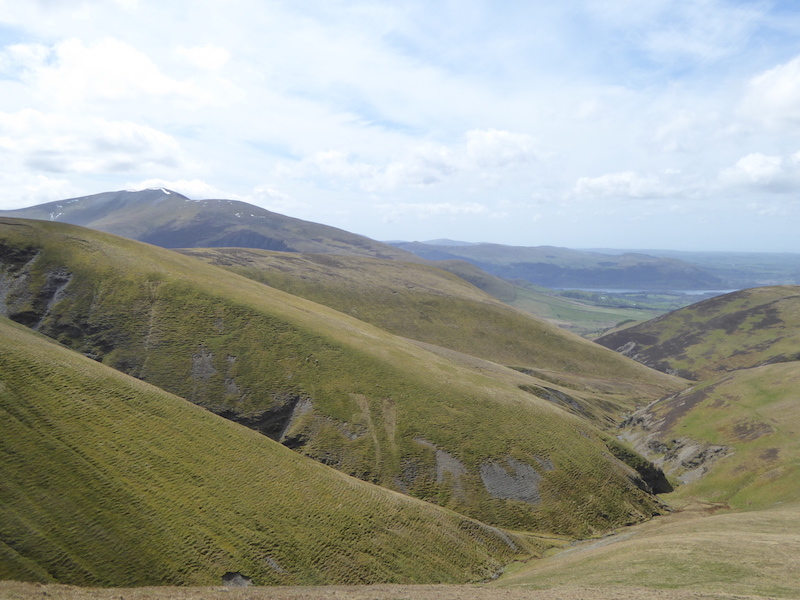 Looking across to Skiddaw again as we descend to Meal Fell. 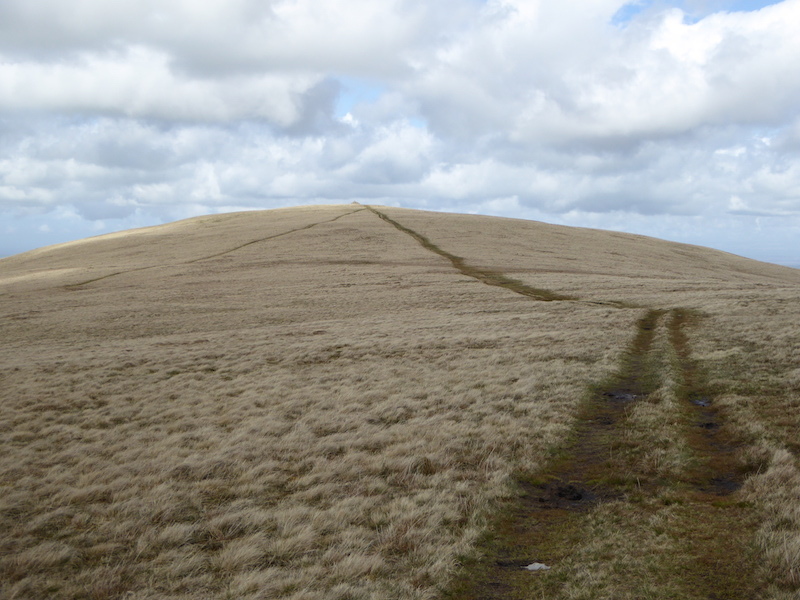 The final leg of the path to Meal Fell summit. 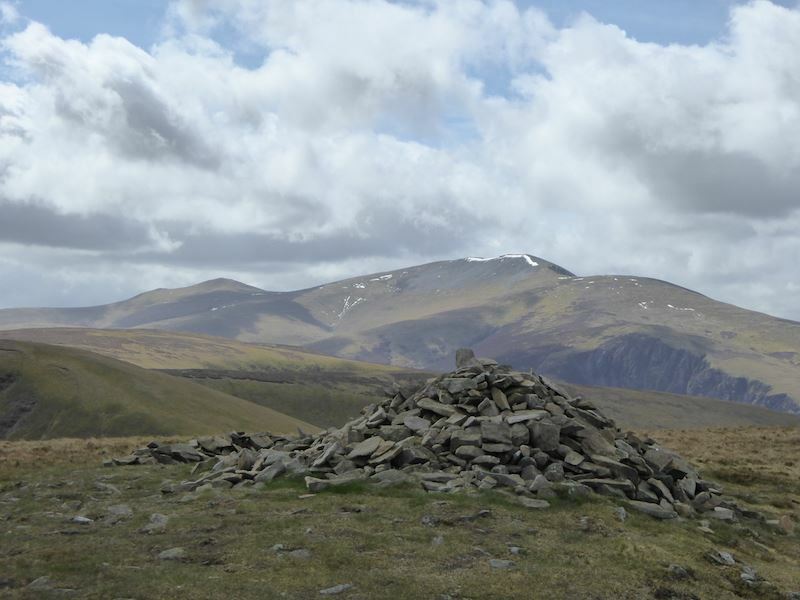 That’s the summit shelter on the left and I’m fervently hoping that it will be unoccupied, I just want some respite from being blown about, and to have something to eat. 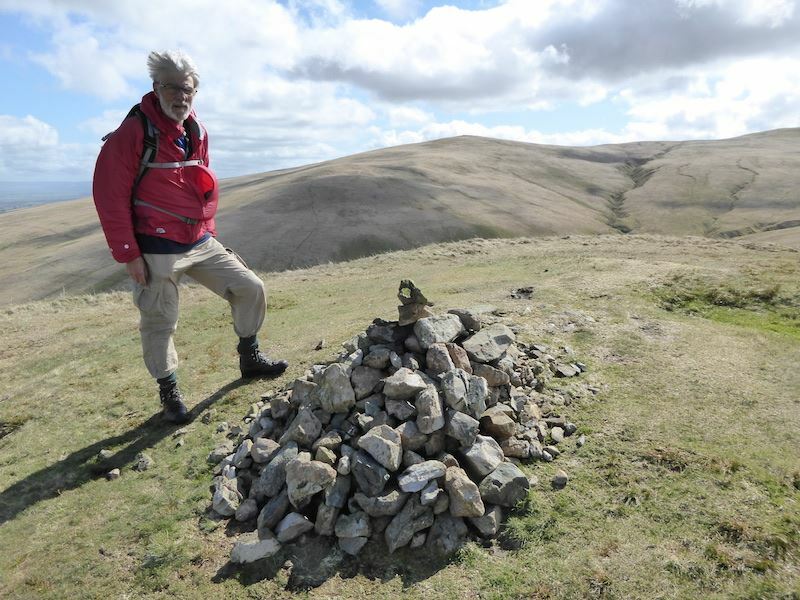 On Meal Fell summit and time to get into the shelter and out of the wind. 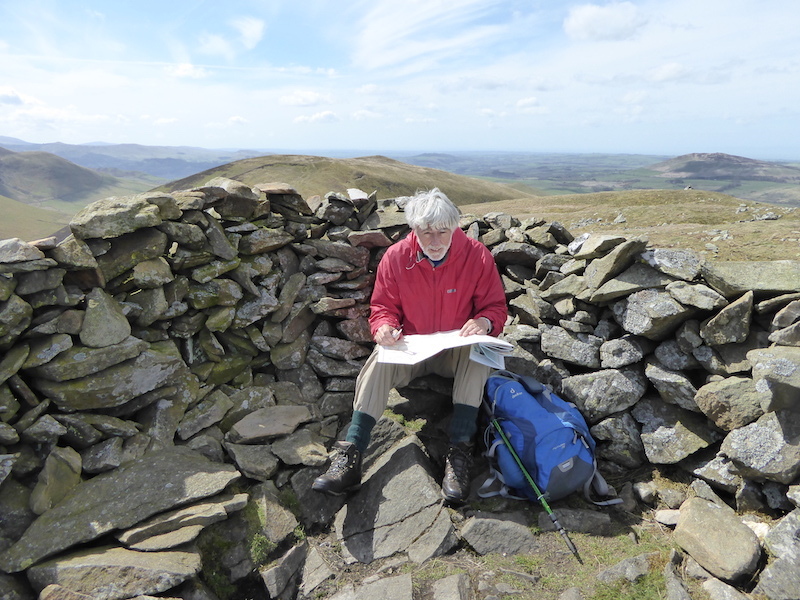 A very welcome lunch break in the Meal Fell shelter. 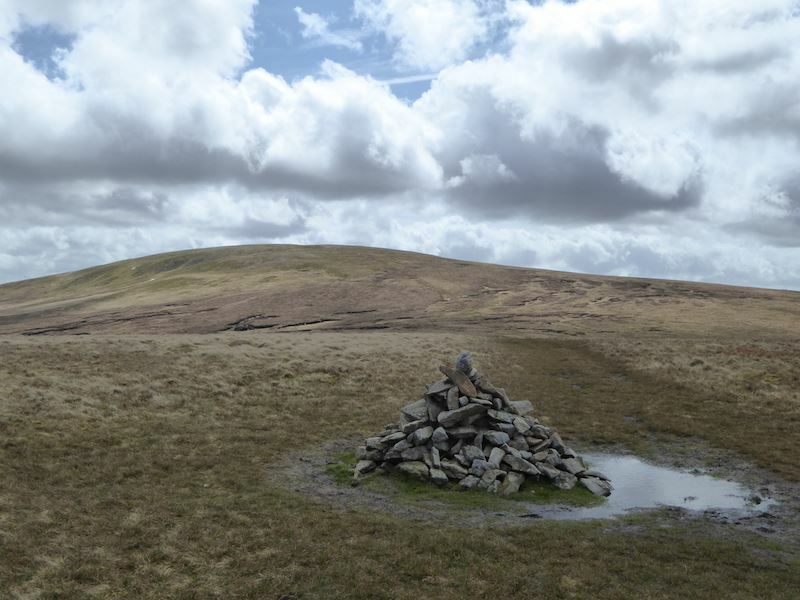 A sunny and wind free resting place. 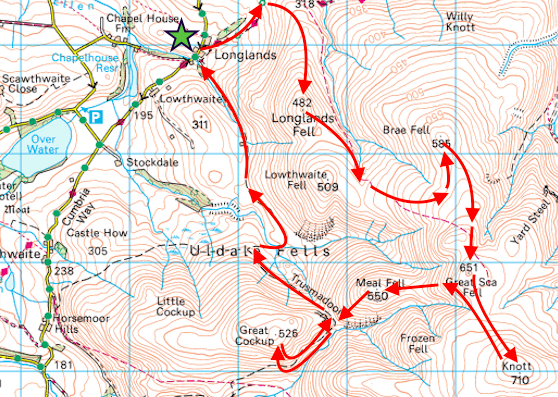 From Meal Fell we go over to Great Cockup, another steep path down, legs in low gear again then. 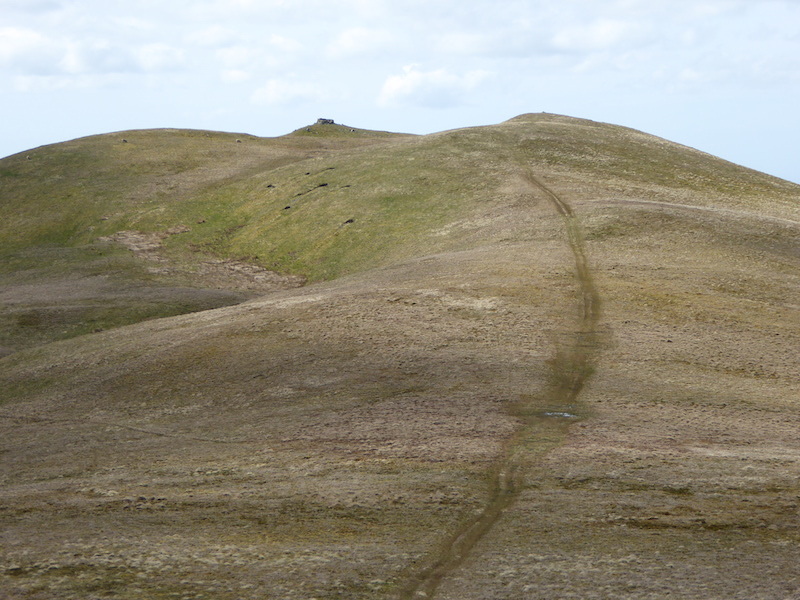 The path leads us down to Trusmadoor, the gap between Meal Fell and Great Cockup. 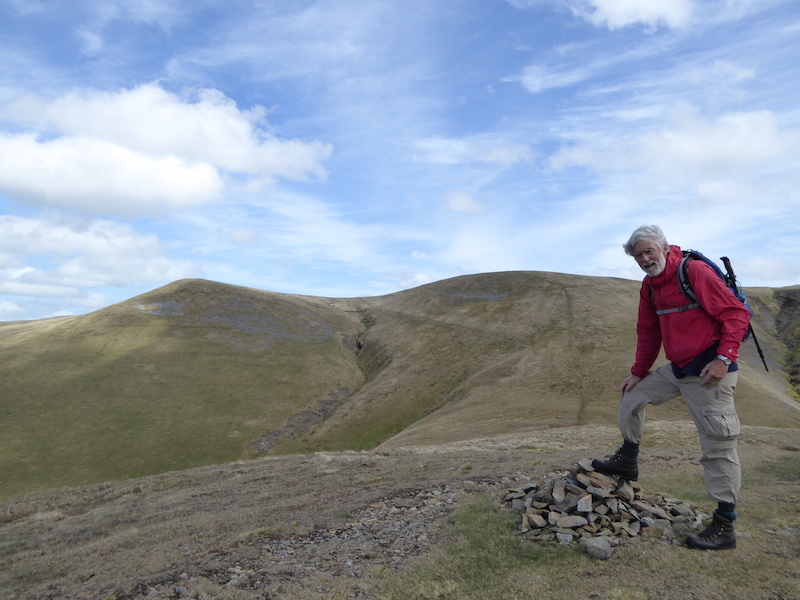 On the steep path up to Great Cockup, will I ever get my legs out of first gear? 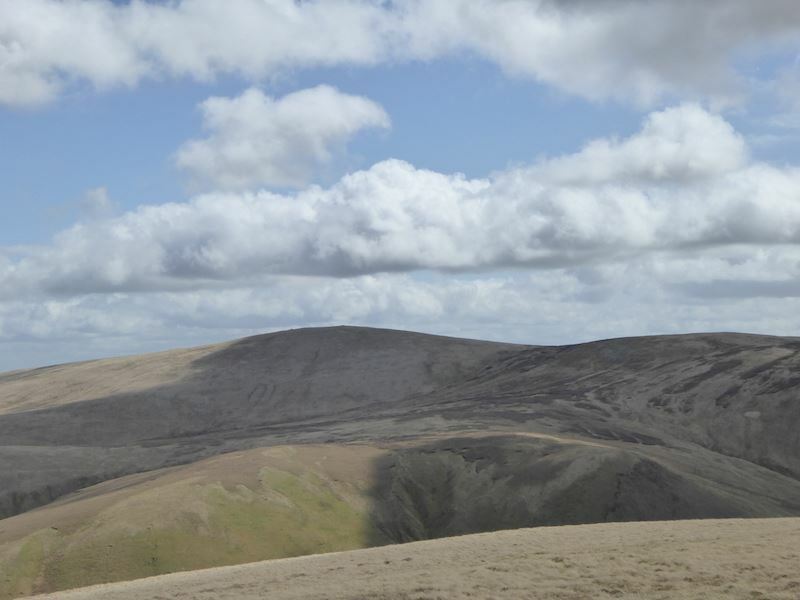 Looking back at Meal Fell from the climb to Great Cockup. Bass Lake from Great Cockup summit. 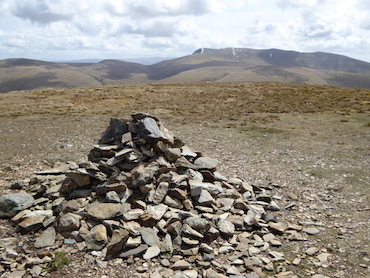 The cairn marking the summit of Great Cockup is nothing to write home about, still, with Skiddaw in the background a small cairn is a minor detail. 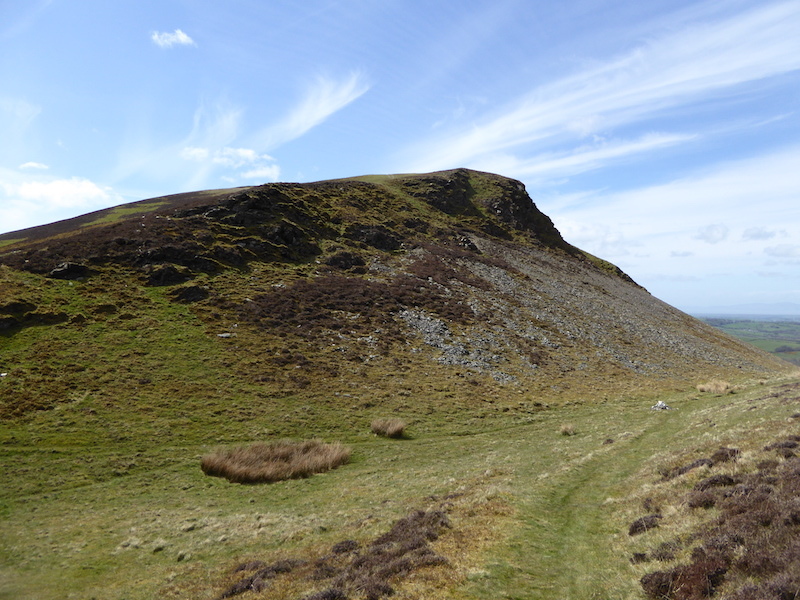 Looking back up Trusmadoor as we start the return leg of our walk. 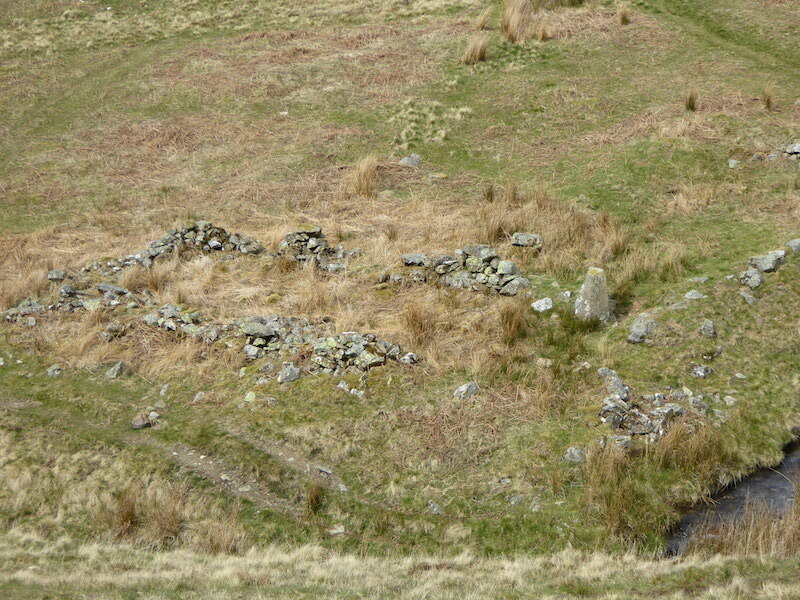 An old sheepfold just across the beck at the bottom of Trusmadoor. 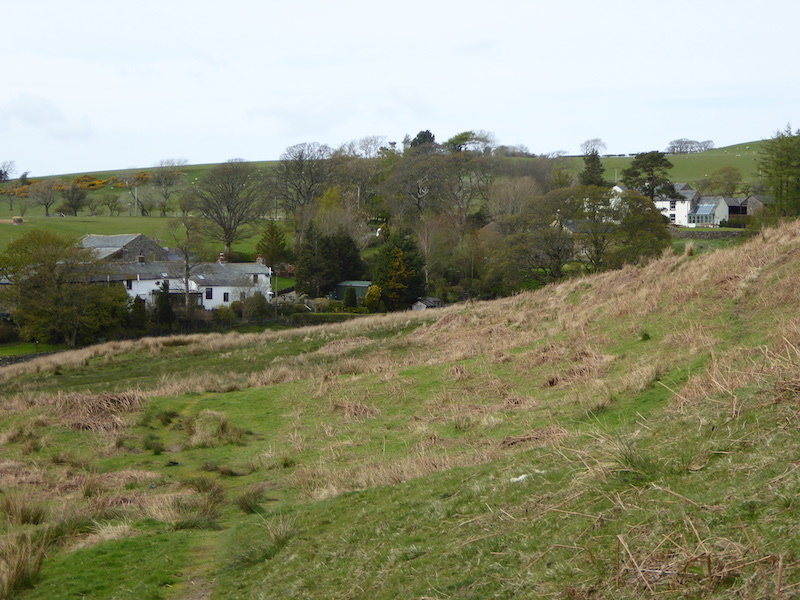 Here we are, almost back at Longlands hamlet. 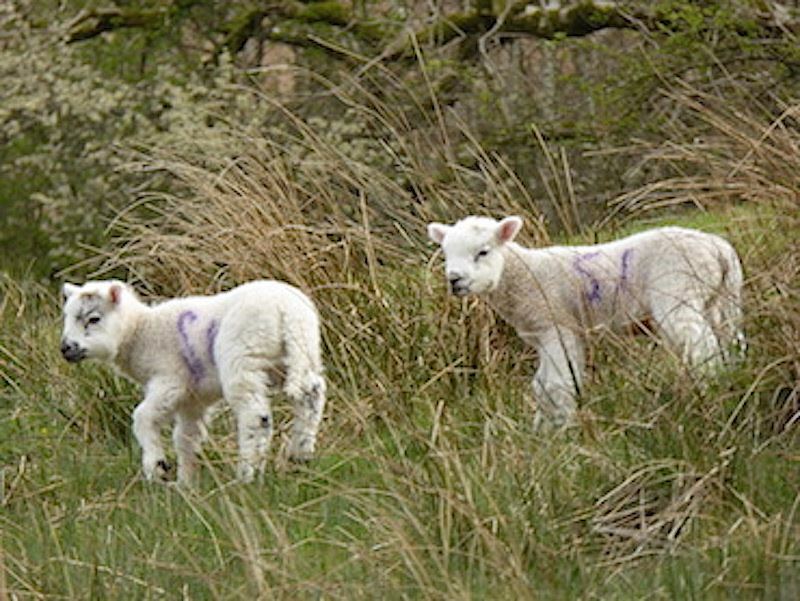 Its that time of year so here’s a cute lamb picture …..
….. and to end with, a ground level view of Overwater.